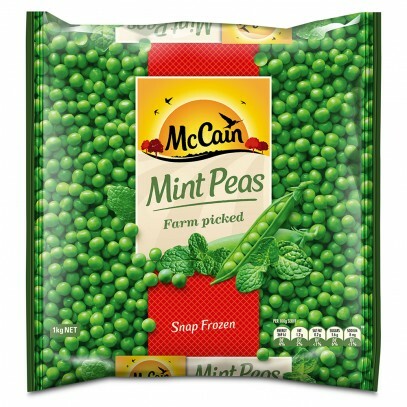 Place one cup of frozen McCain Mint Peas into a microwave safe container. Cover and microwave on HIGH for 2½ minutes, stirring once half way through cooking. 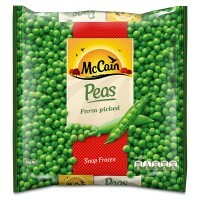 Remove from microwave, season to taste. CAUTION: Vegetables will be very hot. Be careful to avoid steam burns. 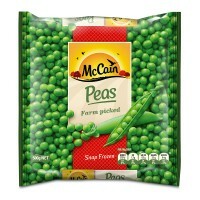 Place one cup of frozen McCain Mint Peas into a saucepan of boiling water. Return to boil and continue to cook for 3 minutes or until tender. Keep frozen at or below minus 18°C. Do not thaw before cooking. Product must be cooked before consumption.